Your hair a little dry? Time to call in the serious stuff. Natural Shea Butter and Coconut Oil are what you need to moisturize and nourish while Grapefruit Extract and essential Citrus Oils help to add shine. No more dry. Just silky, soft, beautiful hair.  Designed for especially dry hair. 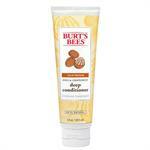 Moisturizes and nourishes with Shea Butter and Coconut Oil.  Shines with Grapefruit Extract and Citrus Oils. 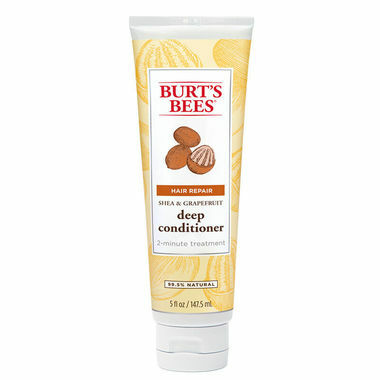  Use weekly for beautiful, soft hair. 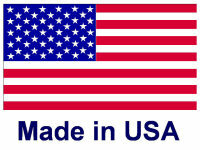 A natural fat, Shea Butter is an amazing skin and hair softener that transfers rich moisturizers to your hair. Leaving it healthy, happy and truly beautiful. water, cetrimonium bromide, cetearyl alcohol, sucrose laurate, glycerin, honey, butyrospermum parkii (shea butter), glucose, betaine, citrus grandis (grapefruit) seed extract, citrus aurantium dulcis (orange) peel oilcitrus medica limonum (lemon) peel oil, citrus tangerina (tangerine) peel oil, citrus aurantifolia (lime) oil, zingiber officinale (ginger) root extract, citrus reticulata (tangerine/petitgrain) leaf oil, acacia senegal gum polysorbate 60, glucose oxidase, lactoperoxidase. After shampooing, squeeze out excess water. Massage a generous amount into hair. Comb through from your scalp to your hair's ends focusing on ends and other damaged areas. Leave the treatment on your hair for 2 minutes.Shampoo and rinse well. 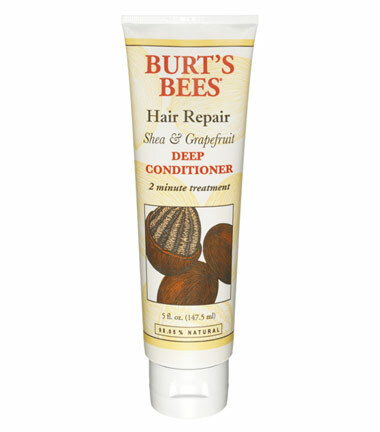 Use Burt's Bees Hair Repair Conditioner with Shea Butter weekly.